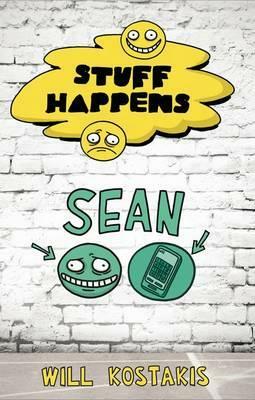 Sean has been hauled across the country by his parents and now he had to figure out how to make new friends and survive school without the friends he has had forever. His parents finally relent and allow him a phone to contact his buddies, but he blows it and has it confiscated. How is he going to prove he is responsible enough to get the phone back. Fortunately he has managed to make a couple of friends who are willing to help him out. Another bite sized real life instalment of this series. Starting at a new school is something many can relate to and is a situation fraught with all sorts of things to navigate. It can be hard making new friends and you need to make sure you don’t do the things that will turn you into an immediate outcast. It doesn’t shy away from the awkward bits but shows that it isn’t all bad and life after moving away form old friends does actually exist and can be good. As a concept this series shows a lot of promise, relatable short stories make for reads that fit into a lifestyle that is filled with other activities, also the brevity of the books means they don’t look intimidating or time consuming.